What is the difference between SPM and ICM? Sales performance management is the market and technology category that addresses the business challenges of incentive compensation management, territory management and quota management business processes. What are some of the key features of ICM? IBM Incentive Compensation Management solution is a single solution for incentive compensation, territory management and quota management. 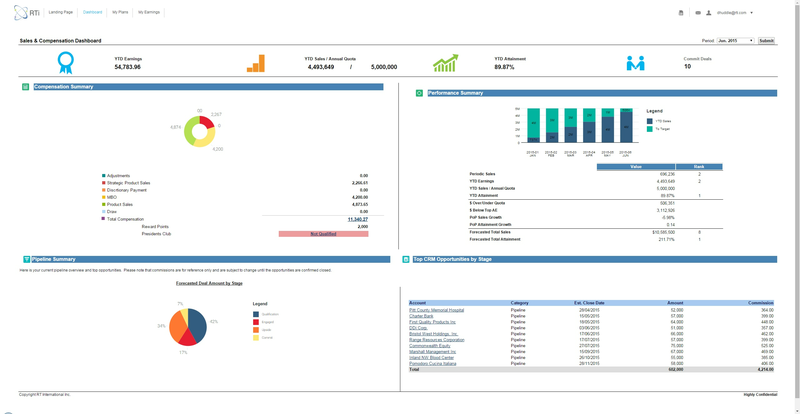 Key features include data integration, a high performance calculation engine, workflow and routing, automation, dashboards & reports, and sales analytics. IBM Incentive Compensation Management can be deployed as an on-premises solution or in the cloud as a SaaS solution. Customers can choose to deploy the cloud/SaaS solution in a single-tenant or multi-tenant environment. Is there a SMB and an Enterprise solution? SMBs can choose the ICM Rapid Deployment Service to get started. For Enterprises, with complex requirements, we offer a more tailored and comprehensive approach. Regardless of the size of the organization, all features and capabilities are available. Pricing is based on the number of payees. What industries deploy the solution? IBM Incentive Compensation Management is an industry agnostic solution. Any organization with a sales team can benefit from its deployment. IBM has customers across all industries such as Insurance, Banking, Financial Services, Retail, Manufacturing, High-Tech, Telecommunications, and others. Are there any standard reports available? Yes, there are standard reports available that are designed and built by applying IBM Design Thinking where existing customers provide input to help shape the development of the solution. For example, there is a standard report that provides visibility into a sales rep compensation statement. Can the solution be deployed to support a global organization? Yes. The IBM Incentive Compensation Management solution has been deployed by many global organizations and supports multiple languages and currencies. Can the solution integrate with other enterprise solutions? Yes. IBM Incentive Compensation Management can integrate with any enterprise solution such as CRM, ERP, HRIS, BI, and others. Data integration is supported through data connectors, JDBC, and APIs. Data feeds are then scheduled to ensure data is imported /exported through automation and transparency. Are there any APIs available? Yes. IBM Incentive Compensation Management has over 500 RESTful APIs available to customers.